Today’s consumer marketplace is a hyper-connected realm in which mobile technology plays an influential role in virtually all industries. From Silicon Valley-based startups to the local hardware supply store, the roots of mobile technology run deep in dozens of sectors – and marketing is no exception. If you look back over the history of business, you’ll notice that, despite all the changes that have occurred, the same basic principles always apply. In other words, the technologies and tools brands leverage in order to communicate and engage with customers have dramatically changed over the past 10, 20, or 50 years, but the principles behind these resources have remained relatively consistent. Alastair Mitchell, president of Huddle, backs this point by drawing connections between the television drama Mad Men, set in the 1960s, and a present-day food delivery startup, EAT24. In his example, he touches on how Donald Draper, the protagonist of the show, publishes a break-up letter with Big Tobacco via a New York Times print advertisement. Fifty-plus years later, EAT24 published their own break up letter with Facebook via their on-site blog. In both situations, these organizations took a stance for what they believed in and felt that it was necessary to publicly remove themselves from negative relationships. However, the channel changed; the technology changed. Here’s the point: The mobile revolution is taking place all around us. There are already an estimated 4.9 billion connected devices, and experts predict there will be 25 billion by 2020. For the first time in history, the number of mobile-only internet users has surpassed the number of desktop-only users. Mobile is far from a fad; it’s here to stay. As a marketer, you don’t have to change your principles, core beliefs, and brand values. However, you do need to leverage new tools in order to more effectively engage and communicate with your customers. To further reiterate the importance of shifting your attention towards mobile and maximizing the resources that are available to you, let’s briefly look at four specific ways mobile technology can benefit you, as a marketer. The traditional drip marketing campaign follows a standard timetable of automated emails and maybe an occasional phone call. While these drip campaigns may be effective for some brands, they aren’t what they used to be. Email inboxes are getting more crowded and open rates are down across the board. There’s no guarantee that a prospect will see what you’re sending them, and you must be very strategic about how many messages you send, when you send them, and what you say. 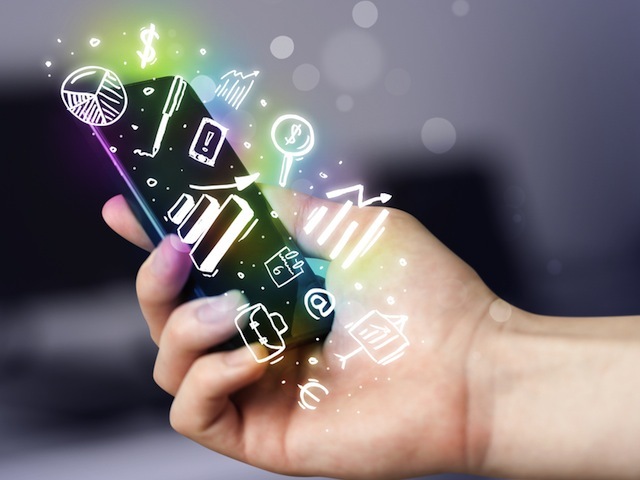 Mobile is changing the face of drip marketing. Instead of sending a handful of emails and hoping that they’re opened, consumed, and digested, the combination of mobile and social media allows brands to push out content on a continual basis. Think of it as a steady stream, rather than an occasional drip of the faucet. While the prospect may not see every bit and piece of content, they’ll be exposed to more marketing messages over the life of the campaign, leaving them more likely to follow through with a conversion. Secondly, marketers benefit from mobile by enjoying enhanced internal communications that allow teams to break out of silos and work more closely together. No longer are teams forced to collaborate in meeting rooms, retreat to their respective corners, and repeat. Teams can now enjoy limitless communication, regardless of whether they’re in the same physical space.